Papergreat: Why don't I ever stumble across Nicolas Cage vampire ephemera? 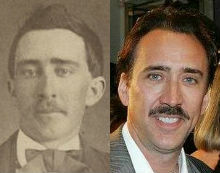 Why don't I ever stumble across Nicolas Cage vampire ephemera? 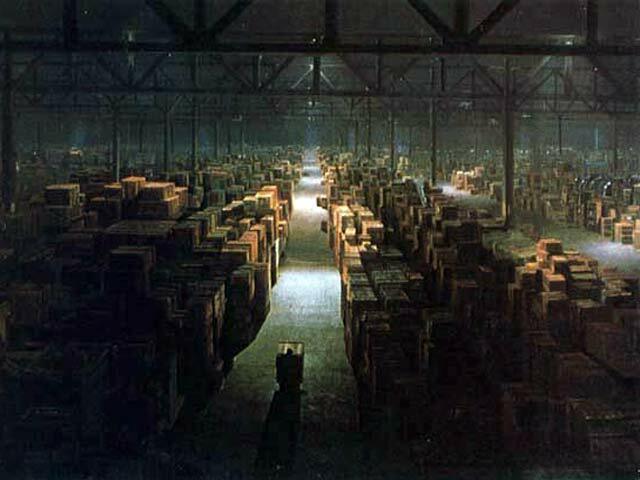 Of all the ephemera in Otto warehouse, I don't think there's a single piece that's as unusual as the old photo that someone in Seattle came across recently. A collector/dealer who says that his main interest is "Victorian Era postmortem photography"1 purchased an album that contained numerous Civil War era death portraits. Toward the back of the album, he came across a startling carte de visite. While all of the other photos in the album -- images of both the living and the dead -- were identified by name, this one had no identification at all. But it sure as heckfire looked like someone. The collector dates the image to the 1860s or 1870s and says the man lived in the Bristol, Tennessee, area. And he has a theory. Maybe it truly is Nicolas Cage. Personally, I believe it's him and that he is some sort of walking undead / vampire, et cetera, who quickens / reinvents himself once every 75 years or so. 150 years from now, he might be a politician, the leader of a cult, or a talk show host. Q: Do I get a discount if I AM Nicolas Cage?? A: Of course. You get a 25% discount for being Nicolas Cage, and another 25% for not exsanguinating me. That's especially wise because, if you are a fan of Cage's acting, you might sometimes wonder how much he's acting and how much he's simply letting his eccentric personality shine through on the silver screen. A (very R-rated) YouTube video, titled "Nicolas Cage Losing His (Bleep)," is a delightful and profane montage of Cage's many movie meltdowns. It makes you think he might be just the kind of guy who would buy an unlabeled carte de visite from 1870 that features the image of someone who looks just like him. Which is why I'm bummed I didn't come across it first. 2. Shipping, however, is a very reasonable $2.75. So you'd be looking at a total bill of $1,000,002.75. 3. Warning: That link will probably disappear soon, after the photo is no longer for sale on eBay. 4. 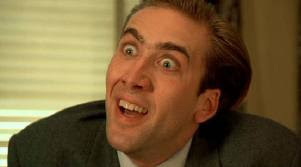 I have a lot of favorite Nicolas Cage films, but my very favorite is probably "It Could Happen to You." Which is kind of odd for me, because I'm not really a romantic comedy kind of guy.